Rupert Pupkin Speaks: Warner Archive Grab Bag - Westerns - Johnny Mack Brown, Tim Holt and George O'Brien ""
This set focuses on some of the films from the great Johnny Mack Brown who was immortalized in The Statlers Brothers song "Whatever Happened to Randolph Scott" ( I will always remember him from that). Johnny Mack Brown made hundreds of films and when you see him up on that horse and decked out in his old west garb, you can see why folks responded to him like they did at the time. In fact, in Danny Peary's wonderful book Cult Movie Stars, under Johnny Mack Brown's cult films, Danny simply says something like 'hundreds of B westerns made from 1940-1960'. The guy made a lot of movies and accumulated a sizable fanbase doing so. 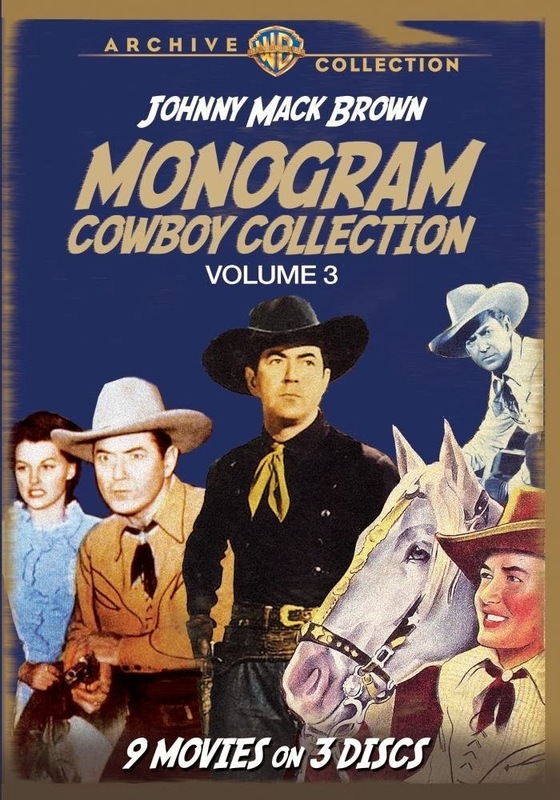 This set includes six of Mack Brown's 'Nevada Jack Mackenzie' Westerns and three additional cowboy classics from JMB. As I was watching this one I was reminded of just how essential it is structurally to have solid bad guys in a movie like this. 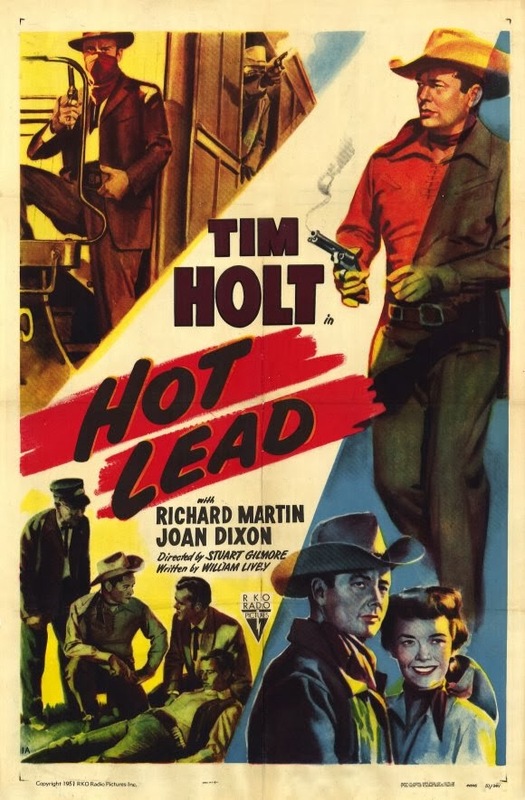 These westerns are quite economical and simple, but they are nonetheless effective when they establish an despicable bad guy up front. In this case, some dastardly dude (Harry Woods) is trying to forcibly buy up all the businesses in this small town. I've seen this plot a few times, but done properly it can't help but make your blood boil and get you rooting for Johnny Mack to save the day. In this case he comes to town to buy a slaughterhouse which has just been usurped by the bad guy and they have to go head to head. This was apparently Mack Brown's first time out playing his character Nevada Jack. Never trust a man named Crowley. Harry Woods returns in this Nevada Jack adventure and he's just as evil as ever. He'll not only steal your cattle and kill your men, but he'll even take every last cent you have via a crooked poker game and then have you shot. Dude is like the Grinch of the old west! Thankfully Nevada Jack is there to help this poor kid out and he picks up on the underhanded dealings right away. Trouble with this kind of bad guy though is they are often dug in pretty deep, like ticks into the small towns they reign over.One thing I love about old Nevada Jack though is that he has no fear of walking right up to the bad guy and threatening him. No fear whatsoever of painting a giant target on his back and that takes guts. There's a storm alright and it's caused by the friction between cattle men and sheep men. I had no idea how much these two factions hated each other. Nor did Dave Saunders (Tim Holt) and his trusty (and awesome) sidekick Chito (Richard Martin) but unfortunately them accidentally insert themselves right into the middle of this hateful feud. Never before have I seen a sign on a saloon's swinging doors that says "Sheep Men Keep Out". P.S. - Betty Underwood looks disarmingly like Lynda Carter. 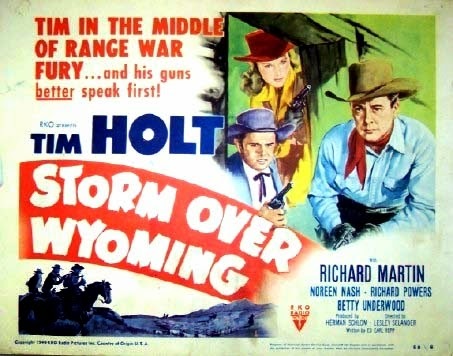 At first when Chito called Tim Holt's character "Tim", I thought maybe it was a mistake left in the movie, but nope, Tim Holt plays a guy named "Tim Holt" in this movie. In this one, Tim and Chito help set a trap for train robbers and an ex-con just out of prison gets roped in with his old ne'er do well accomplices for his skill with the telegraph. 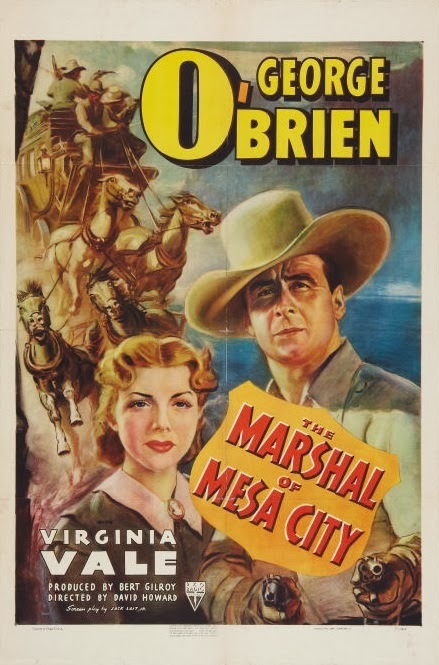 This is a lean little RKO western wherein O'Brien shows himself to be a no-guff-takin badass. 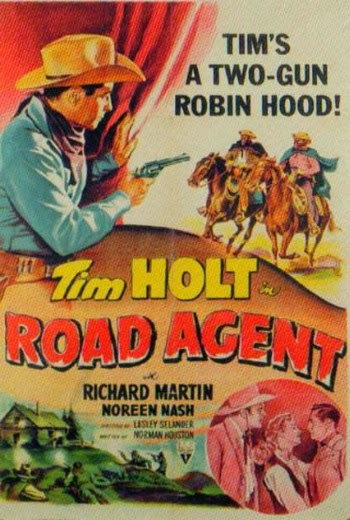 He's an ex-marshal just passing through Mesa City when he finds himself entangled in the town's lawless shenanigans. I am a huge fan of movies where a lawman or tough guy come into a new town that has previously been out of control and rather chaotic with a disregard for law and said lawman takes on the evil folks at the core of the trouble. It's just a great, but simple dramatic tension when the villains square off against this new dude, they inevitably underestimate each other and things get deadly. In LEGION OF THE LAWLESS (the second feature in the set), O'Brien plays a lawyer trying to set up shop in a small town under the thumb of a vigilante mob rule that's taken a few steps outside of stopping crime and gone to general tactics of intimidation. The final film in this collection is TRIPLE JUSTICE. George O'Brien is an interesting looking guy. He's kind of Rock Hudson by way of Leslie Nielsen if that makes any sense. Handsome, but not gritty so you might think he's easy pickings. He ain't, but yeah something about his physicality that throws you off I think. He's handy with the stunts though and seems to do a lot of his own fisticuffs. Also, it should be mentioned that O'Brien's love interest in all three of this films is Virgina Vale, who I was also unfamiliar with prior to this set. A lovely lady to be sure and often a bit feisty with George out of the gate. They play well off of each other.